The arabic name Eid al-Fitr means 'festival of the breaking of the fast' in English. It marks the end of the month-long fast of Ramadan, and the beginning of the Islamic month of Shawwal. Like other festivals observed by the Muslim community, this festival symbolizes faith. Ramadan ends with the festival of Eid al-Fitr, which can be on July 18 or 19 2015. 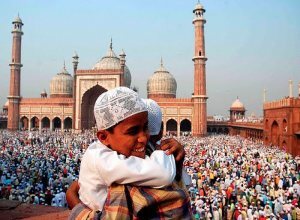 Eid al-Fitr is one of the two most important Islamic celebrations (the other occurs after the Hajj, or pilgrimage to Mecca).